What I want to share with you today is something I believe is the single best way to save you time so you can earn more money! If you are already earning enough money, then this will allow you the time to go enjoy the money you are earning with your family and friends! This is a section of a “White Paper” I wrote called “Thirty Days”. I have never met a loan originator that hasn’t told me that they were busy. My response to that is often, “are you busy or are you productive?” There is a huge difference. I have seen loan originators and managers working twelve to eighteen hour days to close a few loans and not make all that much money. All because they are constantly trying to “remember” what they need to do next or they have a closing deadline in a few days. This causes them to act reactively instead of proactively. Most loan “drama” comes from three places: 1)Improper loan submission. 2)Bad communication. 3)Unrealistic expectations. Master these three areas and you will find your life, and the lives of your clients, processors, underwriters, managers, even your friends and family members will become less stressful and more profitable! So let’s take a look at a few things I have been working on with some of my more successful, high loan volume clients. Since the average loan originator closes less than three loans per month, we need to get past how they do business and focus on those that do seven, nine, or even twelve loans a month or more on a regular basis working thirty to fifty hour work weeks. One common thread amongst those in this arena is some very clear habits and systems. Those loan originators do a great job knowing what to do and when to do it. It all starts with a crisp and clean application. An application your processor feels comfortable with and can see all your notes about the transaction. If the loan has ANY quirks or questions, address them early with your processor! All the questions asked and answered, all the boxes filled in. A clear understanding of what the client wants and needs, and the time frame in which it all gets done. More than that, the client and originator have had a complete conversation about what is going to happen, and when it is likely to occur. Good loan originators explain the entire process, complete with dates, times, and requirements the borrower has to the process so the loan will close at the time desired and at the price promised. The client has a real interest in knowing they have obligations to perform in a timely manner that might have real financial consequences. Day 1: We take a complete loan application. Day 2: I submit a completed loan application into processing. Day 6: We will review disclosures, loan findings and requested documentation. You will have 48 hours to return signed disclosures and any documentation requested. Day 9: We will review your submission and appraisal. Day 12: Your file will be submitted to underwriting. Day 15: We will review underwriting findings and any additional documentation requested. You have 48 hours to supply any additional documentation requested. Day 20: We make a final submission to underwriting. Day 23: We have the “clear to close”; we will review the closing process and set a time to review your HUD-1. Day 28: We review the final HUD-1. Day 30: We close your loan. Now obviously you have to take into consideration weekends, holidays, and your own company’s turn-around time. Also, it is imperative that your processing and underwriting teams are on the same page by providing accurate information. It is the loan originator’s job to track these deadlines and schedule time accordingly. Just like with the client, you need the same type schedule to track processing and underwriting to be sure you meet all dates. I am sure if you follow these steps, you will reduce the stress in your life, and provide a better quality of service for your clients and referral partners. If you would like a copy of the entire “White Paper” please just email me and I will be happy to send it to you. No industry focuses on credit scores quite like the mortgage industry. Seems like there are dozens of systems and programs out there that will help originators work with those buyers that need to improve their credit score so they can buy a house. This is a very populated area of the industry. Many “experts” support the effort to tap into this part of the market. I am NOT one of them. While it is likely that there are programs out there that will help improve scores and you can certainly help council these people through that process; but one thing stands out more than any other fact; it isn’t worth it. Yes, I said it, it isn’t worth it. The math doesn’t support it and there are thousands of cases to prove it. Most people fail to follow the steps to improve their scores, and if they do, very few keep them up. If they do improve and they do keep their scores up, they are also likely to have required a great deal of time and energy, and maybe even go on to use a different person than the one who directed them through the process. Not to mention, that you can’t charge them anything extra for all the help and the extra effort it took to get them to the closing table. The other argument I want to make is that the biggest factor in the whole “mortgage meltdown” was the urgent need by the government to grow the number of people who could qualify to borrow money to buy a home. And since those with good credit already could qualify to borrow money to buy a home, it became necessary to expand the criteria and lower the level of quality borrowers to take this money. The rest was history. Let’s look at some numbers. 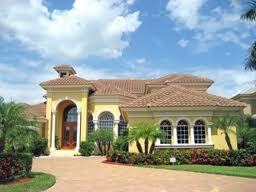 Historically about 60 to 65% of the people in this country have owned the property in which they lived. When you take a minute to look at some very interesting data, you will see why I think it is a complete waste of time to work with the “credit challenged” borrowers for anything more than to share with them some very basic information and allow them to move on. Here is why. According to the three main credit reporting agencies, between 63 and 68% of the people in this country have credit scores 650 or higher. In fact, between 50 and 55% have scores higher than 700, and between 37 and 42% have scores higher than 750! So the question to be answered is, if 60 to 65% of our population is likely to own their own home, and between 60 and 68% of the population already have credit scores high enough to qualify for a loan; why are some many people spending so much time and money working to attract those who don’t? There are likely many more people who have credit scores over 800 (depending on the agency, the number is 15 to 21%) than those people currently below 650 who will ever improve their scores to qualify for a loan. The entire pool of people below 650 is between 32 and 37%, how many of those do you think will ever improve enough to qualify? My point here is a simple one. Spend your time working with people who already can qualify from a credit standpoint. If you want to cultivate a niche market, why not go after the people who already have scores over 800? Far fewer people are marketing to those people. There aren’t thousands of websites and links for people looking for the best of the best as there are for those who are “challenged” or “need repair” of some kind. In my opinion, you would be much better served marketing to 800+ people than you ever will be, trying to help those who are below 650. Credit scores are important. I understand they are not perfect. I know some bad things happen to “good” people that drove their scores down. But the facts remain, most of the people have low scores because they don’t manage their credit or are over extended. The facts also show that the average credit scores in this country are going UP as more and more people pay attention to their scores and understand the value of a good score. It is going to be quite a while longer before any of the agencies begin to relax their credit standards. Is that really such a bad thing? If everyone knows the rules is it a bad thing to demand that people who want to borrow money show an ability to repay the loan? Would those people who want to complain the most about the higher underwriting standards be willing to invest their retirement money, or their children’s college funds into loans going to finance people with low credit scores? At the end of the day, this post is about sharing thoughts and ideas. Please share yours with us. For more information please visit us at http://www.improvemytomorrowcoaching.com. 1) Collect school schedules from all the schools in your marketing area. Public schools and private, and remember to collect all grade levels. Grammar schools may have different schedules than Middle or High Schools do. It is important to know. 2) Understand that within a very few weeks of school starting, some parents will have a desire to move. Either closer to a particular school, or to an area more convenient to work or other activities. 3) Parents of students going off to college will sometimes quickly find the need to change their space, more designed for them, and not their children. 4) Refinance opportunities appear as parents look to change their current space to better suit their needs or to raise needed cash for tuition and other expenses. So why are these opportunities important? Well, because it is always nice to locate a few simple transactions while better preparing yourself, your clients, and your referral partners. Know the school calendar often can help avoid big challenges. Specific school holidays may vary from school to school. Testing schedules, conferences, and other events can often signal days that will become difficult for some people to close on, or become dates people want to be completed by. Being aware of these in advance can really help. Having the ability to target certain groups can also be rewarding. You know how big your clients house is, you also know the number and ages of their children. It is likely that the older the children get, the more emphasis will be placed on bedrooms and bathrooms. It is one thing for younger children to share space, but as they get older, it gets much more complicated. A simple card or letter discussing these issues might prompt a listing and a sale, or maybe just a refinance. Either way, you already have the information, why not use it? Those who find themselves sending their child or children off to school often have a few different needs. Maybe they want to refinance to lower month payments and improve cash flow? Possibly they would like to reconfigure the space more to their own needs instead of how it worked best for the children? Either way, right after Labor Day is when these thoughts start to materialize. So what will you do to help your clients through this thought process? Do you have the solutions at hand to resolve these issues? How will you communicate these solutions? Will you produce cards, letters, email, maybe a short video? Having a plan and a schedule to implement is the only way to take control of this powerful opportunity. Back to school often is stressful and confusing to those involved. Any form of change can be very disruptive and challenging. While it often causes a brief slowdown in those looking to purchase property, you can use this time to be prepared for the opportunities that will present themselves to you if you know where and how to look for them. You are a solutions provider. Part of your professional obligations includes looking ahead at the potential challenges your clients and market may have, and being prepared to offer solutions that resolve those challenges. Back to school and Labor Day can be such a time. Are you ready? When you get to work with and coach some of the best loan originators in the country, it doesn’t take too long before you begin to notice what the above average originators do that those that are average and below don’t do. The number one difference from the top to the bottom is consistency. Top producing loan originators are consistent either by design or by need. Regardless what area of business I look at, from prospecting to file preparation, the best of the best follow a consistent pattern of doing things the same way, day in and day out. They take their prospecting seriously and understand that without prospecting, there is no business. They have systems in place to be sure everything they want to happen with a file or a client happens. It is not by accident, it is by design. From the type of prospecting that gets done, to the process they use to interview a client, take an application, review documents, prepare a file for submission, to following up throughout the process to be sure everything is done timely and correct, as well as to take advantage of the ability to prospect at each point. So what are the specific steps? Pretty simple, it all starts with a plan. On the prospecting side, every top producer knows where their business comes from. While some know the details better than others, they have a genuine desire to look for new business and stay connected to those responsible for sending them their opportunities. They are always asking for business directly or indirectly. Either in person, by mail, by phone, or even email, it is part of their basic process to consistently be in front of people and to ask for the business. Looking at their entire process from targeting a potential referral partner, to obtaining referrals or opportunities, each step is in line with a predetermined action plan. Once established, these elite originators execute the plan according to a predetermined schedule of events. Some much more disciplined than others, all are consistent with a short term, midterm, and long term communication to keep them in front of their prospects, clients, referral partners, and database. This ongoing communication keeps them positioned for that critical “top of the mind awareness” that will generate loan opportunities and endless referrals. So what are the specific action steps we can all take to improve our consistency and convert it into currency? Here are a few that will get you started. 1) We all know everything starts with a written plan. What are your plans to stay in front of business? 2) Focus on both your clients and referral partners. Each maybe similar, but both require different attention. 3) Have specific actions associated with a specific timeline. You can vary the duration, but never the action. Some people you may speak to everyday; others once a week, once a month, or once a quarter. The important part is that you have it planned out so you can always schedule the next action. 4) Prospecting is a priority. It can’t ever become the victim of getting busy. You must schedule your prospecting every day and make sure regardless how “busy” you get, you always commit to a minimum of two hours of prospecting each day. 5) Show up, follow up, and repeat the process! Your career is a marathon, not a sprint. Some relationships take time to develop the trust and comfort factors. Nurture these relationships and allow them to grow. 6) Use all the forms of communication at your disposal. Nothing is better than a live face to face meeting. Get out of the office and get in front of people. Don’t wait to schedule a meeting all the time. Sometimes just a quick “drop in” so you can leave a note, a card, an article of interest, is a great thing to do. Even if they are busy or not in the office, you can always follow up later by phone or email later. 7) Always be asking for opportunities. Who do they know that you need to speak with? Buyers, sellers, other potential referral partners, all are people you want to connect with. 8) Always make it about value. Provide information, connections, opportunities, discounts, or whatever you have at your disposal, just keep providing value to those you come in contact with and your consistency will become your currency! I get to coach some of the best originators and managers in the industry. While markets come and go, there is only one sure thing about loan originations, the people that maintain a certain level of purchase loan business can survive any market. The simple fact is, those loan originators that fall into the trap of getting off the streets and retreating into their offices to focus on nothing but refinance transactions, are doomed to suffer a painful reality that refinances are going away sooner than you think, and when they do, there will significant challenges to finding streams of purchase business. 1) Refinance clients are not under any legal pressure to perform. So, they are not in any hurry to supply documentation or close a transaction. 2) Refinance clients will continue to shop you right up to closing and even beyond the closing because they can always rescind the deal for 3 days after closing. 3) When an appraisal comes in for less than the value thought, it is most likely the deal dies on the spot. In a purchase transaction the deal is often renegotiated and closed. 4) When you work on a refinance you work alone. When you work on a purchase, you have a number of other professionals or people depending on this transaction to close who are in a position to help you. 5) Refinances slow down to a trickle when rates begin to rise while people continue to buy and sell homes. I am not saying that you shouldn’t engage in refinance business. It is an important part of servicing your clients and your community. What I am saying is that you can’t give up prospecting for purchase business and you must seek and maintain important purchase loan referral partner relationships so you can maintain a solid level of purchase transactions. So what is a “solid level” of purchase transactions? Well, let use the same method I use with my clients. What I do is to look at what “normal” production levels would be in a “average” market and use a fact of between 70% & 85% as a guide as to the number of transactions or total loan volume needs to be, should be purchase transactions. So that said, if I have a client that has a personal production goal of ten closed loans per month, in an “average” market, then I expect that they should close between seven and nine purchase transactions per month. Since we are NOT in an average market, and purchase transactions are about 25% lower than what most people would say is a more average market, than I push that client to maintain a monthly goal of closing five to seven purchase loan transactions per month. Using this strategy, they are free to pursue refinance transactions as part of their regularly scheduled focus on their database as well as some of their consumer direct marketing time. If they wish to focus more time on refinances than this, they are welcome to work “overtime” on evenings and weekends to locate and prepare those files, but never are they allowed to reduce the regular prospecting activities for purchase loans, or pursuit of new purchase loan referral partners. I speak to Realtors® on a regular basis and they are all wondering where all the loan originators are? Mostly they believe that they are sitting in their offices doing refinances, while the agents are now being told that they need to write 45 and 60 day contracts because lenders can no longer close deals in 30 days or less. I tell them that this is not true. In fact, some mortgage companies have taken a very strong stand on getting their purchase deals closed in 30 days or less. Some even guarantee the fact that they will close as scheduled! Those select few have made a pure business decision to place a priority on purchase transactions and the referral relationships they have built by having that commitment. In the long run you can’t survive without a solid base of purchase transaction and referral partners that provide you with purchase loan opportunities. You need to make the commitment to your own long term survival and remain committed to purchase transactions. For those who want to grow their market share of purchase business, or forge new relationships with those that can provide you those opportunities, NOW is the time to take action. Get a plan, schedule the work, track the results, and close the loans!